In a world driven by technology and as more companies cut their customer service efforts as a way to save money, customers can often feel like they are surrounded by information with nowhere to turn. 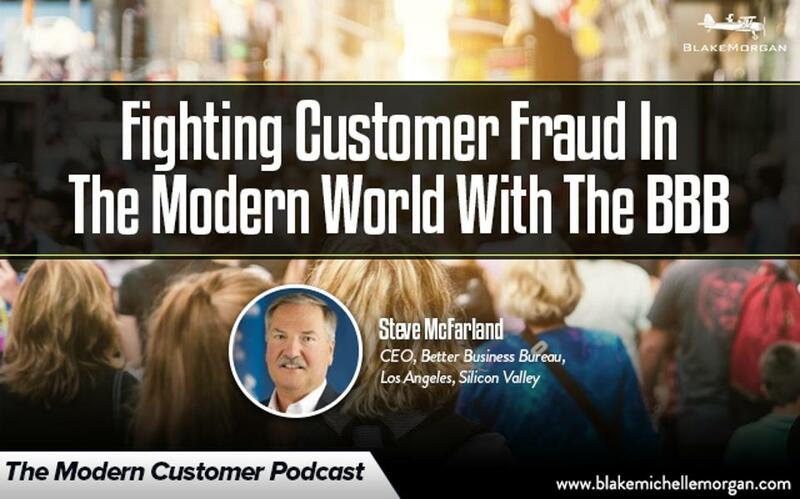 The Better Business Bureau is out to advocate for customers and fight customer fraud in the modern world. According to Steve McFarland, president and CEO of the BBB in Los Angeles and Silicon Valley, the group aims to create an ethical and trustworthy marketplace that brings credibility to businesses and provides resources for customers so they can make wise purchasing decisions. Businesses can become accredited with the BBB as a way to show their credibility and that they provide trustworthy service to customers. Consumers can then see reviews of companies, file complaints against bad business practices, and access free resources to see business reports and trends to make wise choices. Many companies are turning to what Steve calls “ghost”-tumer service instead of customer service. They have taken phone numbers off their websites and instead only have a vague email address customers can contact with issues or questions, but those issues might not always get resolved. If that is the case, then it is increasingly difficult for customers to get issues resolved and know who they can trust. One of the areas where the BBB is seeing the most change is with cybersecurity and data. There are 12 cyber crimes in the U.S. every second, and 80 people become victims every minute. With growing technology and new ways for hackers to steal information and reach out to consumers with scams, the threat is increasing every day. The growing threats for businesses of all sizes and for customers means that protecting data is more important than ever. The BBB wants customers to have the tools they need to stay protected, which means doing basic things like changing passwords and being careful about what they post and read on social media. Different types of scams are arising that reach out to new groups of people, even those who think they are vigilant. Checking on something that appears to not sit quite right can help consumers be aware of red flags and avoid having their data stolen. The BBB is just one way for customers to get the extra information and protection they need and for companies to gain credibility with their customer experience. In an age where consumers can be left behind and not know who to trust, having an organization that can verify trustworthy businesses with great customer experience can help the entire marketplace.